May we take this opportunity to wish you a very happy and prosperous 2018! 1. 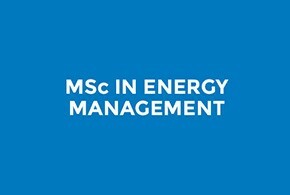 Online Info Session for the Energy Programmes: If you are interested in joining our postgraduate MSc in Energy Management (MEM) or the Executive Master in Energy Management (EMEM), we would like to invite you to join our online on 15th February. To register, click here. 2. The ESCP Europe Energy Trading Challenge taking place on 22nd - 23rd February at our London Campus. This competitive team event open to talented students from the world’s top universities is organised by MSc in Energy Management (MEM) students, in collaboration with Smart Global, ESCP Europe, and its Research Centre for Energy Management (RCEM). To find out more, please click here. 3. The 35th Annual Conference of the French Finance Association (AFFI) taking place on 22nd - 24th May in Paris. The event will be jointly organised by ESCP Europe and the Laboratory of Excellence for Financial Regulation (LabEx-ReFi). To find out more, click here. 1. The 3rd Annual Conference on Energy Arbitration and Dispute Resolution in the Middle East and Africa takes place from 6th - 7th March in London. 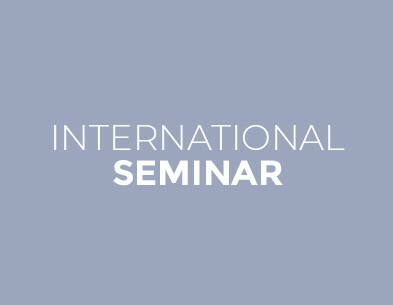 The event is organised by the London Centre of International Law Practice (LCILP). 2. The 3rd HAEE Energy Conference taking place in Athens on 3rd-5th May. The event is organised by the Hellenic Association for Energy Economics (HAEE), Greek affiliate of the International Association for Energy Economics (IAEE). Admission process for the 2018 intake of our MSc in Energy Management (MEM) and Executive Master in Energy Management (EMEM) programmes is open. Individual modules from the EMEM programme are offered as an optional study track. Admissions for the programmes operate with rolling deadlines. To find out more please contact Crochenka McCarthy at: cmccarthy@escpeurope.eu or +44 (0)20 7443 8823. Our masterclass in "Small Scale LNG" in cooperation with Energy Delta Institute and Fluxys will take place from 19th - 21st March, 2018. Participants will have the opportunity to learn about the latest technologies and business models from the world’s leading regions in small scale LNG, Northern Europe and Scandinavia. To find out more, please click here. We would like to thank Lucian Pugliaresi, President at the Energy Policy Research Foundation for his great discussion on "The American Oil & Gas Renaissance-Reshaping World LNG Markets". To check his presentation, please click here. Finally, to keep up-to-date on all activities at the Centre, we invite you to join our LinkedIn group, Energy Management @ ESCP Europe and follow us on Twitter: @EnergyRCEM. 2018: The Year of the Bull or the Bear for the Oil & Gas Markets? The ESCP Europe Energy Society in collaboration with Smart Global, the Research Centre for Energy Management (RCEM) and ESCP Europe hosted two roundtable discussions on "2018: The year of the Bull or the Bear for the oil & gas markets?" held in tandem with the ESCP Europe Energy Trading Challenge 2018. 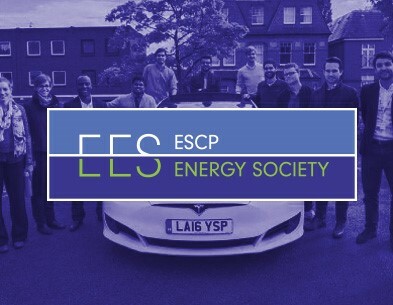 The event took place on 22 and 23 February at ESCP Europe's London Campus, the discussions will bring together world-class academics, top industry experts, and young talent from across the globe. ESCP Europe is proud to host the 35th International Conference of the French Finance Association at its Paris Campus. The conference will be jointly organised by ESCP Europe and the Laboratory of Excellence for Financial Regulation (LabEx-ReFi), a research centre dedicated to the evaluation of regulation policies, created as an initiative of CNAM, ENA, University Paris 1 Panthéon-Sorbonne, CNRS and ESCP Europe. Interested scholars and practitioners are welcome to submit papers in all areas of finance and to participate in the discussion of the latest theoretical and empirical research. Authors of accepted papers are expected to act as chair and/or discussant of a paper in their field. ESCP Europe Business School and its Research Centre for Energy Management (RCEM) are delighted to invite you to the 3rd Annual Conference on Energy Arbitration and Dispute Resolution in the Middle East and Africa organised by The London Centre of International Law Practice (LCILP). The Conference will once again be directed by Brandon Malone, Director, LCILP. Taking place on 6th-7th March in London, this year's conference will be hold in association with Herbert Smith Freehills LLP. ESCP Europe Business School and its Research Centre for Energy Management (RCEM) participated as Knowledge Partners at the 3rd HAEE Energy Conference organised by the Hellenic Association for Energy Economics (HAEE) on 3 - 5 May 2018 in Athens, Greece. Which are the energy revolutions of the 21st century? Which are the geopolitics of energy? Can we foresee the future of green transportation? How can the energy storage be assured? Will renewables increase their share in the immediate future? Will the new "EU winter package" become a new successful energy policy for the Europeans? 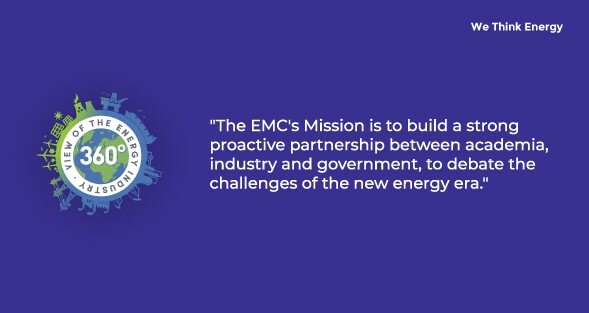 The RCEM Advisory Board is comprised of top energy experts from the world's industry leaders in both the public and private sectors. 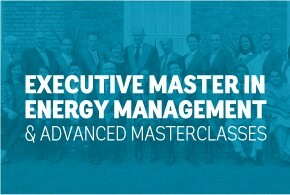 The curricula of the MSc in Energy Management and Executive Master in Energy Management, ensuring both programmes meet the needs of participants on academic and professional levels. Research that makes significant impact on best business practices. Current and future activities which benefit the RCEM's partners, affiliates, students and alumni. Our MSc in Energy Management Students invite young talent from prestigious universities to meet at our London Campus on 22nd – 23rd February to participate at the 2018 Energy Trading Competition. ''In addition to meeting the immediate environmental challenges that we face, we also need to focus more acutely on the potential economic and societal risks that may arise as transition to a low-carbon and environmentally secure world accelerates,'' 2018 WEF Global Risks Report. According to articles 15, 16 and 17 of GDPR, please be aware that you have a of a right of access, rectification and deletion of your personal data. It this message is unconvenient, please accept our apologies. you authorised one of our partners to share it with us.